It is with great sadness that we announce the passing of Shirley Madelyn Taylor, 89, of Sackville,peacefully with her daughter by her side in the early morning of Saturday, February 9, 2019, at the Drew Nursing Home. Born in Greenwood Square, NS, on March 3, 1929, Shirley was a daughter of the late Harry and Margaret (Creamer) Small. Shirley was a devoted wife and mother, whose strength was an inspiration to those she held so dear. She was dedicated to the town in which she raised her family, working hard to better their community as an active volunteer with the UCW, Royal Canadian Legion and Sackville Memorial Hospital Auxiliary. Shirley's passion was being at the cottage in the summertime with her family at her side, and always loved a good game of cards. We will really miss our beautiful mom with her many hugs and kisses. Her love, kindness, patience and selflessness touched the entire family. 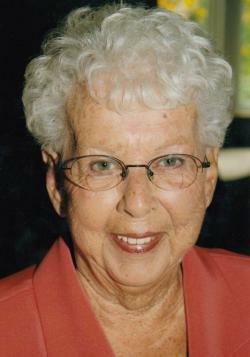 Mom will be remembered by many for her feisty and sassy sense of humour. She will be sadly missed by her children, Philip (Sherri) Taylor, Oak Bluff, MB, and Mary (Louis) McLellan, Hampton, NB; her step-granddaughter, Janine Roy, Saint John, as well as four nieces and two nephews. Besides her parents, she was predeceased by her husband Ronald and his parents, Byron and Mary Taylor; her sister, Kay (Bill) Wiswell, as well as her brother, Arnold (Freda) Small. Arrangements are under the care and guidance of Jones Funeral Home, 70 Bridge Street, Sackville (506-364-1300). In keeping with Shirley's wishes, cremation has taken place and a small family gathering is planned for a later date. Her family would like to thank the many staff and caregivers that helped ease her through the last years of her life, as well as the friends and loved ones who are lending their strength in the difficult time. The family would especially like to thank the management and staff of The Drew Nursing Home for the excellent care provided to our mom. Donations in memory of Shirley may be made to the Sackville Memorial Hospital Auxiliary or the Drew Nursing Home. Sharing of memories and condolences may be sent to the family by visiting Shirley's online memorial at www.jonesfuneralhome.ca or through the Jones Funeral Home Facebook Page. No visitation or services at this time.